This fall, over 1.6 million children across the Washington DC metropolitan area will return to school. However, for many, insufficient family incomes and a lack of an adequate supply of affordable housing means that in addition to homework and tests, many children and their families will be worrying about where they will live or how they will pay the rent. Across the Washington DC metropolitan area, nearly 11 percent of households with children—nearly 150,000 households—have incomes below the poverty line. Thousands more families live just above the poverty threshold, which was $24,250 for a family of four in 2015. Many of these families struggle to find safe, decent, affordable housing in a region where the fair market rent for a two bedroom home is about $1500. Even those earning higher incomes face challenges finding affordable housing and paying for other necessities. Analysis by the Massachusetts Institute of Technology has found that a family of four (2 working adults, 2 children) in the Washington DC region needs to have an income of over $80,000 in order to provide the basic necessities, including stable and affordable housing. When families have trouble finding safe, stable, affordable housing, children’s school performance can suffer. What exactly are the links between housing and education? And how can local housing providers and educators work together to improve outcomes for children? Moving can help or hinder children’s education depending on the context. If a family moves from a high-poverty neighborhood to a low-poverty neighborhood, children can benefit from attending higher performing schools. 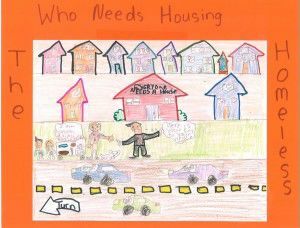 However, when a family moves because of unstable housing situations, rising housing costs, or other difficulties, there can be adverse impacts on children’s educational outcomes. Residential moves often led to interruptions in instruction, excessive absenteeism, chaotic household environments not conducive to studying, stress, and disruptions of peer networks. Research has shown that residential moves—especially moves that are frequent or during key education time periods—can have a significant negative impact on school performance. Eviction, foreclosure, losing a housing voucher, and escalating rents are all reasons families may be forced to move. Local programs that help families stabilize their housing situations can help reduce disruptive moves and promote better school outcomes. Working to preserve market rate affordable housing is also an important step for helping to ensure residential stability. While frequent moves can have a negative impact on educational achievement, moves to neighborhoods with access to better schools may have a positive impact on school performance. While research on the effectiveness of mobility programs is mixed when it comes to educational outcomes, well-designed programs with a strong counseling component have been shown to be successful. A recent study in Montgomery County demonstrated that children in public housing that moved into inclusionary housing units had higher reading and math scores compared to children who did not move. Strengthening housing mobility programs is important to helping families have options to move to neighborhoods with better schools. Creating a regional consortium where vouchers are administered at the metropolitan level is one way to expand the impact of the federal housing choice voucher program. Baltimore operates its voucher program at a regional scale and could serve as a model though the multi-state structure of the Washington DC region makes designing a regional program more difficult. Research has shown that there is an association between overcrowding and reduced academic performance for children. Living in crowded conditions can be stressful and can lead to behavior and attention problems among children. Overcrowding may reduce parental responsiveness by creating social overload and withdrawal. Overcrowding may increase noise and chaos that interfere with children’s studies. Or the problem could simply be a lack of space to sit down and do homework. In many communities, there is a gap between the number of families with children and the number of housing units that are big enough to accommodate them. In high-cost and gentrifying markets like Washington DC, it can be difficult to build family-sized units. However, by proactively creating policies that encourage or incentivize larger units (i.e. with two or more bedrooms), the District—as well as the surrounding suburbs—can expand affordable options to lower-income families. 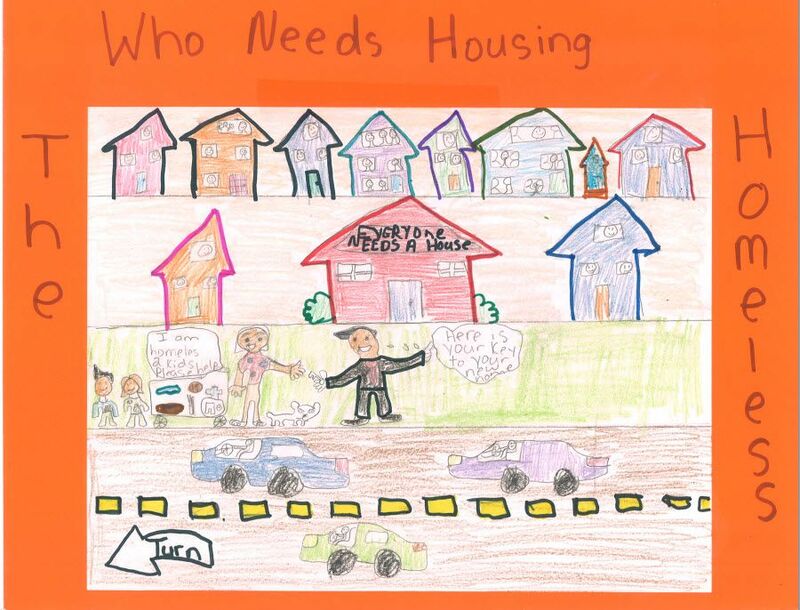 Children who experience homelessness face numerous barriers to good educational outcomes, including difficulties accessing preschool and Head Start programs, adverse living conditions that impede cognitive development and study time, and difficulties obtaining personal records for enrollment in public schools. Homelessness can have different long-term effects on children depending on their age at the first episode of homelessness. Research suggeststhat homelessness is particularly detrimental in the long run for infants and toddlers than for older children. While the region’s homeless population declined slightly between 2014 and 2015 according to the Metropolitan Washington Council of Governments Point-in-Time enumeration, however the number of homeless individuals and families increased in some jurisdictions including Montgomery County. And while family homelessness declined slightly between 2014 and 2015, the number of homeless families has increased nine percent since 2011. Local efforts to prevent homelessness among young children and pregnant women are an important part of creating a stable home environment so that children can be prepared for academic success. The results from the research are clear—a lack of stable and affordable housing can be associated with poor school performance. A supportive and stable home environment is a critical complement to the efforts of teachers, principals and other educators who are committed to the academic success of all children throughout the region. 2 Comments/in HAND News, HAND Thought Leadership /by H.A.N.D. I wholeheartedly agree with this, and want to offer comments that look a bit further also at what, where and how we build the “more” we know we need. A recent report on This American Life (Episode 562: The Problem We All Live With) provides a take of a slightly different shade on the issue of poor educational outcomes. The researcher/reporter in this episode contends that the one solution that has been shown to significantly narrow the achievement gap is the one we gave up on because it was too hard – desegregation. They say the integration efforts that started in earnest in the 70s narrowed the achievement gap by 50 percentage points over a 17 year period. The big leveling factor seems to be getting black kids in the same schools as white kids, and therefore access to the same resources and education. I have, of course, been thinking about this in relationship to housing/neighborhood development, as I now work principally on redeveloping public housing into mixed income communities. I am trying to answer for myself and for others the question of “why mixed-income,” and typically I’ve answered that question with justifications about making deals pencil out, increasing tax bases in underserved areas to attract better “stuff,” etc. I’m thinking a lot lately about education, though. We know we need more and better quality affordable housing and that alone will produce better outcomes. Above and beyond that, though, how much does where and what we build affect what happens around it in areas like education. One of the big criticisms of public housing redevelopment/mixed-income developments is that they haven’t really provided economic mobility for low-income residents. Is one reason that we’re not thinking enough about how those developments can spur or reconcile with other changes (like in education). Conversely, we’ve also seen happens when we pour a bunch of resources into building up a charter school and/or education programs in low-income areas but don’t put energy into improving anything around those schools or program – it’s a tough road to mediocre successes as well. We started a conversation some time ago about health and housing. The education and housing conversation is key as well. This feels very timely. Thank you for this! This is a compelling argument for inclusionary zoning policies which can encourage mixed incomes dispersed throughout a jurisdiction. It also presents a compelling argument for high quality rental housing that families can afford so that children stay in the same schools throughout their primary and secondary educational years. More and more, making the linkage between stable and affordable housing and school performance should help counter the “NIMBY” arguments we so often hear when trying to create or preserve affordable rental housing.